Tory Channel with Interislander Ferry passing Te Weuweu Bay, seen from above Cook's Lookout (low centre) on Arapawa Island. Umuwheke Bay left, Cook Strait and North Island beyond left. 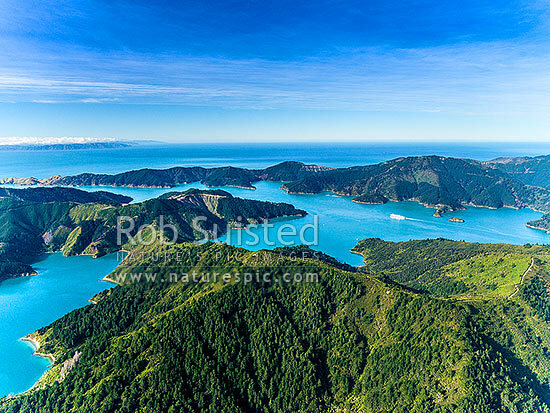 Aerial view, Marlborough Sounds, Marlborough District, Marlborough Region, New Zealand (NZ), stock photo.